Like the last two months, the element of Water is still strong. Good feeling is wonderful, but there is still a need for ration­ality. You and the other Air signs are the ones to supply it these days. In spite of your success, finances still seem stressed. However, they will get easier from the 22nd onwards. I won't say they'll be great, but they will improve. It is still good to focus on the career and boost your professional status. The financial increase from this will happen down the road, not right away. Your financial planet has been retrograde since April and will be retrograde for the rest of the month. In finance, the most important thing is mental clarity. This is what you need to work for. Do your home­work and get the facts. Clarity will come eventually and then it will be safer to make important moves. In the mean­time it is good to manage what you have in a better way. On June 21 the planetary power made an important shift from the Western, social sector, to the Eastern sector of the self. You are basically comfortable when the planets are in the West - gaining the good graces of others is your strong point. You handle this better than most. But now you have a more difficult lesson. The planetary power is flowing towards you. Your happiness, your success is up to you now. Your personal merit, your personal abilities, rather than who you know, are what are important now. It's time to develop some independence and act from what you think is right, to create conditions according to your personal specifications. You have been in a spiritual period ever since July 23 when Venus entered your 12th house. 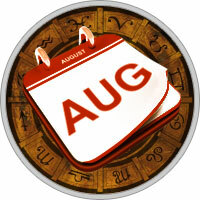 This month the spirituality gets even stronger as the Sun and Mercury enter this house too. This is a time to achieve spiritual-type goals, to focus more on your spiritual practice, to get more involved in charity and altruistic causes, and to clear the inner block­ages to the flow of the Higher Power. Librans are basically party people, but now you feel a need for more solitude. There's nothing wrong with you - it's just natural when the 12th house of spirituality is strong. Spiritual activities are always solitary experiences. You can be in a group or attend­ing a prayer service or meditation seminar, but the inner experience will always be something personal to you. The growth that happens now will be interior, but still very powerful. You have been very much in the world for the past few months, very focused on your outer life, and this was good. But now it's time to collect yourself, to feel your own aura, and receive guidance and inspiration from above. Health is much improved this month, but still needs watching.